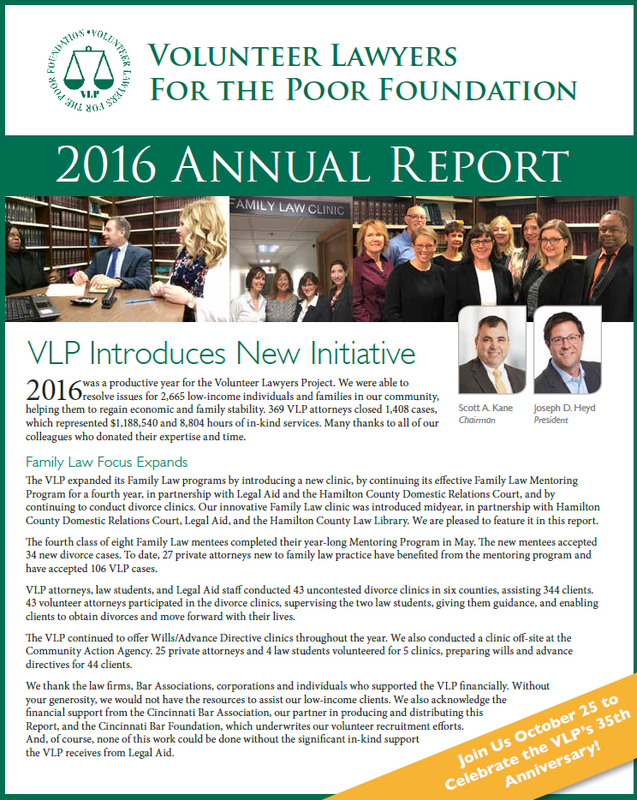 Check Out The Volunteer Lawyers for The Poor Foundation’s 2016 Annual Report! Did you know? The Volunteer Lawyers for the Poor Foundation (VLPF) is celebrating its 35 Anniversary this year. Co-founded by Legal Aid and the Cincinnati Bar Association, the VLPF, through the Volunteer Lawyers Project, provides a way for private bar attorneys to offer their time and expertise, pro bono, to assist vulnerable individuals and families in our community. Learn more-read the new annual report.